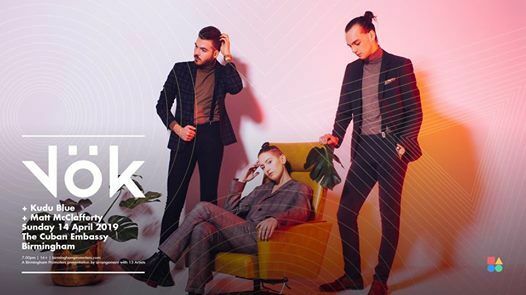 Icelandic electronic dream-pop trio Vök officially announce their sophomore full-length LP In The Dark slated for release on March 1st, 2019. They’ve already shared three album single and the new single, “Spend The Love ” frontwoman Margrét Rán comments: “Spend The Love” follows the release of earlier album singles “Night & Day” and “Autopilot,” The trio are on the heels of a string of highly successful live dates, including their U.S. debut with several concerts in select cities as well as their live performances at this year’s Iceland Airwaves Festival in Reykjavík and support for Editors in Germany & Poland in November. Kudu Blue are a Brighton-based 5 piece blending a range of nostalgia-tinged influences from 90’s trip hop and electronica through to 00’s garage. Known for ambitious live setups and driven by the challenges which come with translating intricate electronic compositions to engaging and electrifying performances, Kudu Blue are constantly forced into testing their limits as musicians. The resulting sound is one heavily layered with textured instrumentation and vivid, memorable songwriting. 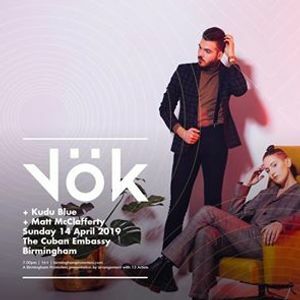 Matt McClafferty is a singer/ songwriter currently studying at the University of Birmingham. His original songs blend an alternative style with pop influences.